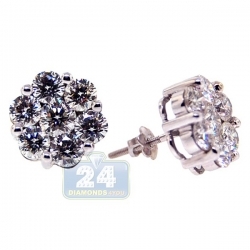 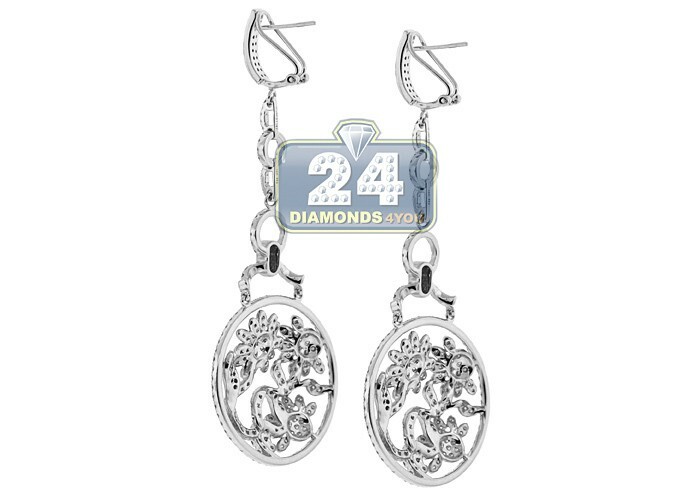 Fancy and stylish, this pair of diamond flower earrings is designed in dangle style, ably handmade of lustrous 14k white gold and accented with 5.88 carats of icy white round-cut diamonds, VS1-VS2 clarity, F-G color. 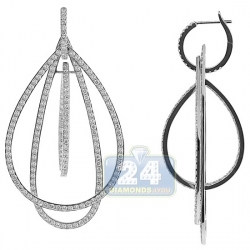 They measure 3.25 inches in hanging length and 1.2 inches in width. 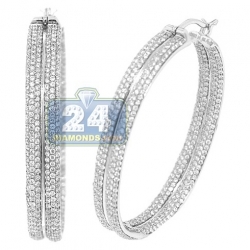 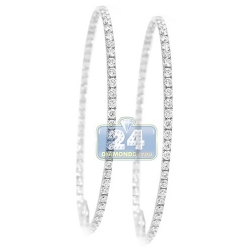 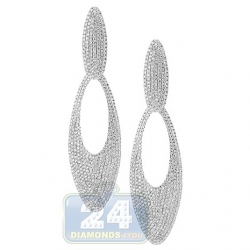 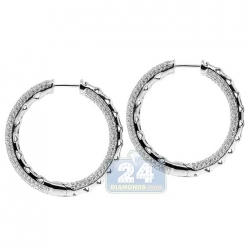 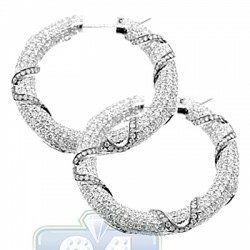 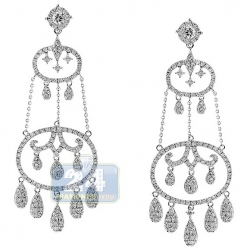 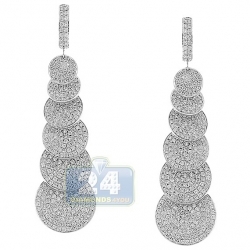 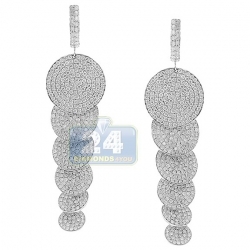 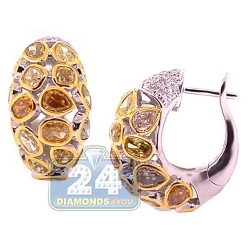 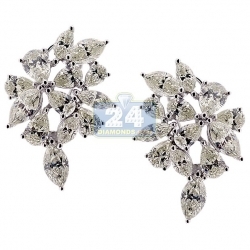 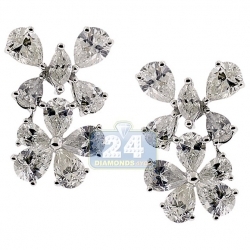 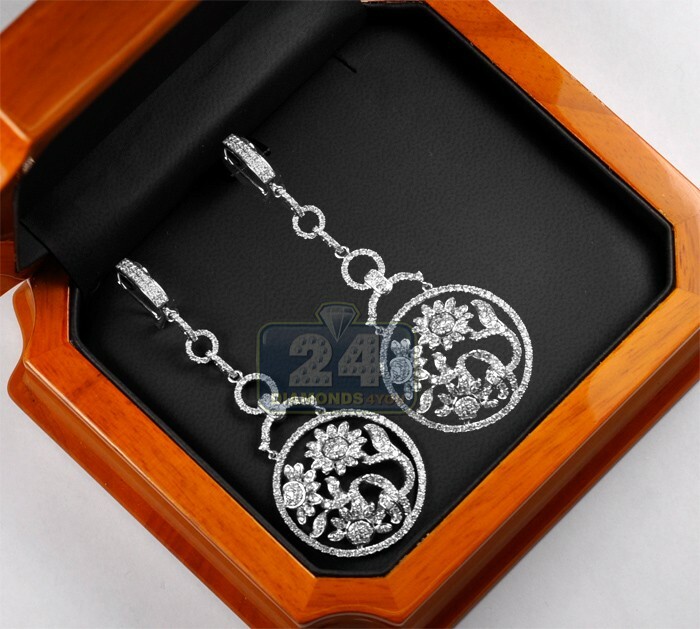 You will enjoy unique design of these diamond chandelier earrings!